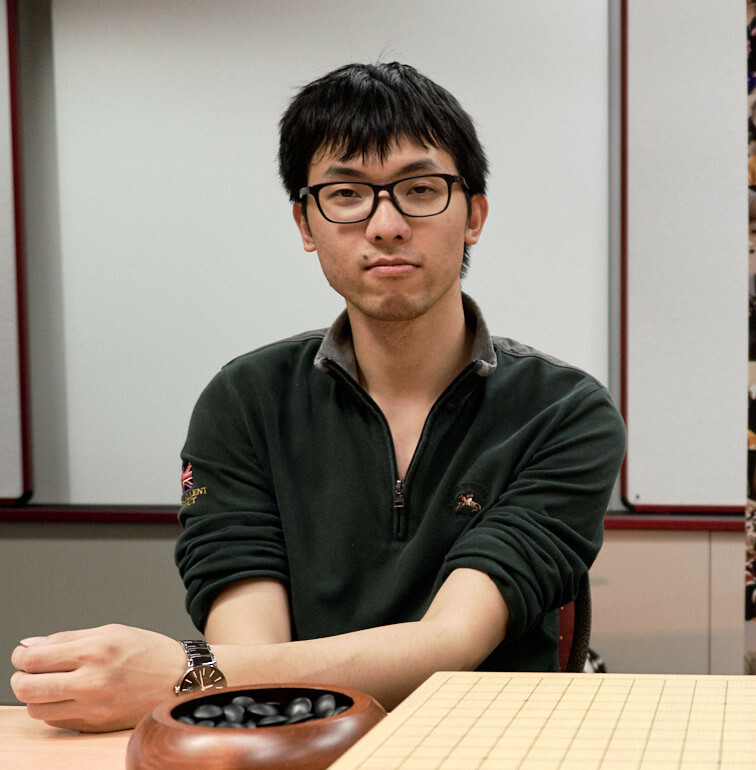 After round 9 and 9 straight wins, Zhang Tao 5p from China is set to be the winner of this year’s Open European Championship, or “Main” tournament! Even in case he loses his game tomorrow (which seems unlikely), his opponents’ score will still be higher than the only other potential contender, Li Xiaoxi 2p. Congratulations, Zhang Tao! Later on, the European Pairgo Championship was played out. Barbara Knauf 3d from Germany teamed up with Zhang Tao 5p and Fang Yunfan 4d from China played together with Zhaonian Michael Chen 7d from the USA. 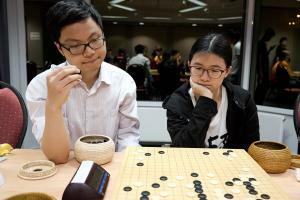 Despite Zhang’s track record this congress, Yunfan and Michael managed to stay ahead and won the championship! Winners of the handicap division Pairgo Championship were Zion Kim 17k and Yoon Youngsun 8p. Furthermore, by popular demand we will have another Karoake night around 10.15 p.m. at Rondell bar. Yesterday was a blast and people were still singing and dancing until 5 a.m. Don’t miss it!